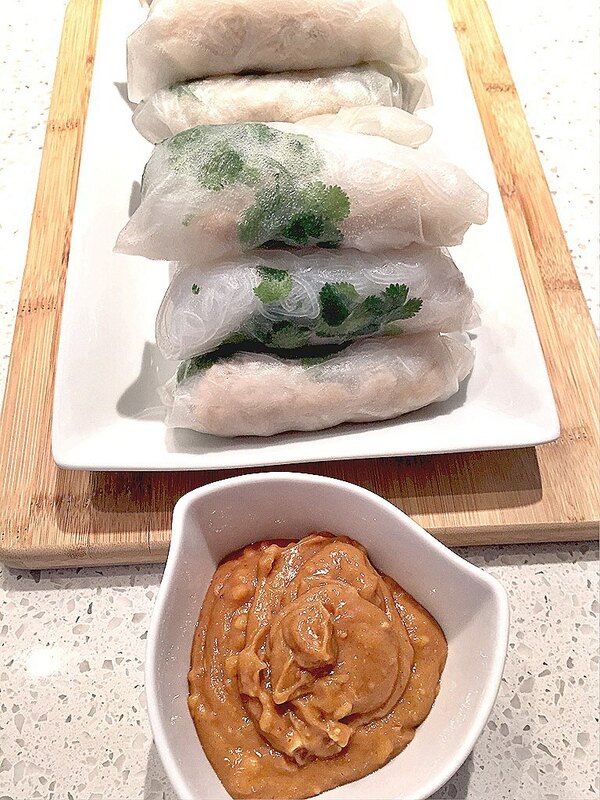 The proper title of these are “Vietnamese Salad Rolls” but let’s be honest here, there’s no salad going into these if I want my kids to eat them. Soooooo….I have modified them (as you should as well) to suit their particularl (dare I say, “picky”) needs. As all moms do. Sigh. Super easy to throw together and best of all, just put them in a tupperware container in the fridge and you can pack them for their lunches. I made these one day so I could do just that, and Simone proceeded to eat four of them on the spot. Needless to say, I make a dozen or so at a time so I always have them handy for lunch, snack, dinner. Even Giselle enjoyed them, but plain, without sauce. I thaw a small-medium sized ziplock bag of my pre-made shredded chicken. Bring a pot of water to boil and add the rice noodles (1-2 “bunches”); cook for 5 minutes then strain. Then, in a shallow saucepan, boil water and reduce heat to medium to cook the rice papers. 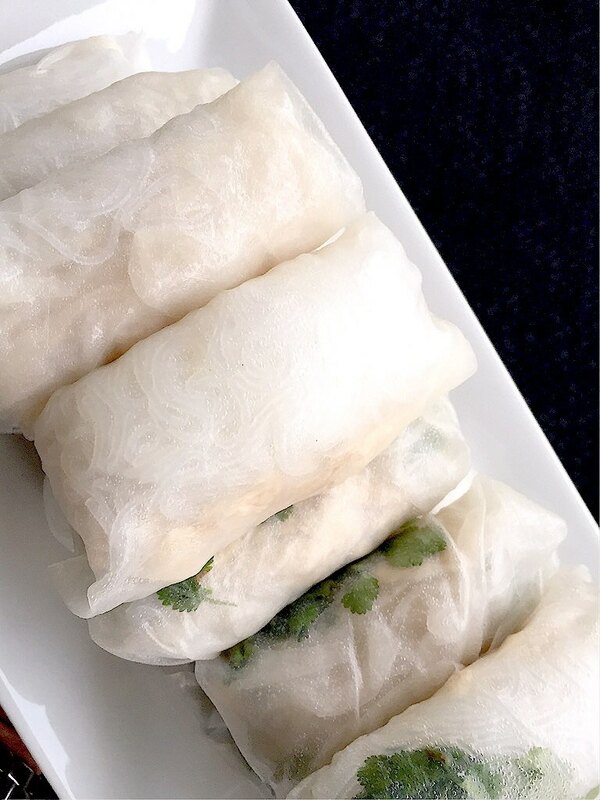 Lay one rice paper in the hot pan water and remove carefully after 5 seconds. Use a large pancake flipper to help with this – these little buggers can be tricky to work with. Lay rice paper flat on a smooth surface (cutting board, large plate) and place a spoonful of chicken, and noodles in the middle. I squeeze hoisin on top for the school lunch ones, but at home I serve them with a delicious peanut-soy dipping sauce on the side. Fold the sides in first, then roll the rest of the soft rice paper over the mixture.